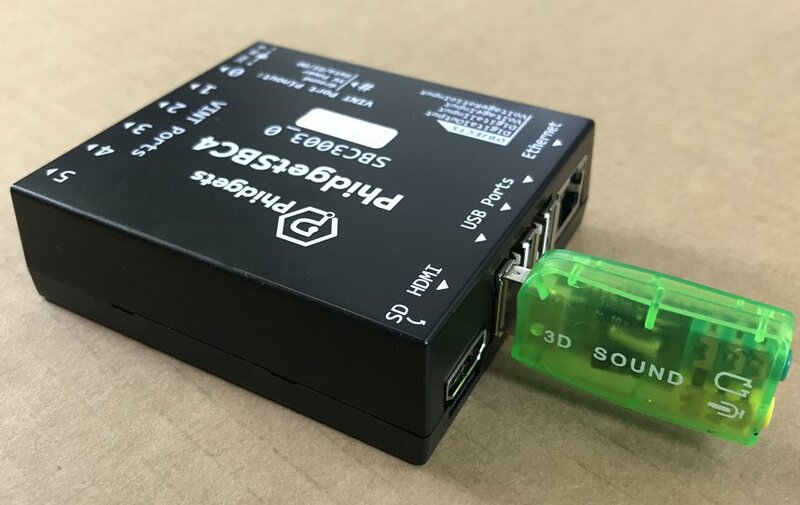 After reading this article, you will be able to play an MP3 from your Phidget SBC. Before we get started, you will need a USB to Audio Adapter. These are widely available online. A simple Amazon search yields many suitable results. Note that our sound card index is currently set to 1, if we were to try to play an MP3 file, we would get the following error: As you can see, we have no sound card with an index of 0, so our command fails. In order to fix this, we need to change the index of our USB sound card.